Provide comfort for the family of Ezio Domenis with a meaningful gesture of sympathy. 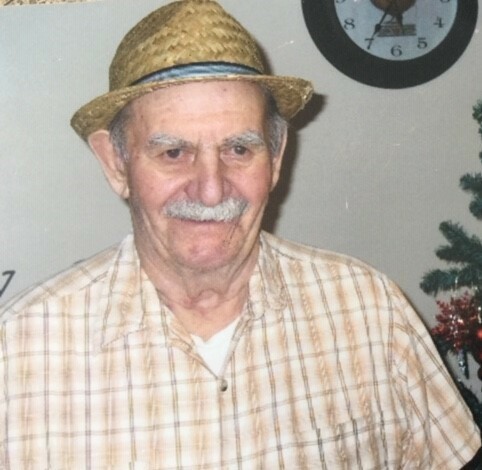 DOMENIS- Mr. Luigi Ezio Domenis age 84 years, a resident of Pioneer Ridge passed away at his residence on Wednesday, February 13, 2019. Thank you to all the staff who were a part of his life, who provided the greatest care and compassion to Ezio. Our family is forever grateful.. Ezio was born on October 15, 1934 in Skopje, Yugoslavia. He grew up in Bizonta, Pulfero, Italy and immigrated to Canada in 1954. He worked in the forestry industry retiring from Provincial Papers. He married his love Giuseppina in 1967, and they both shared their love of gardening. He enjoyed making and sharing his wine, sausages and cured meats with his friends and family. He is lovingly remembered by his sons Albert (Liana) and Giani (Kristan), grandchildren Andrew and Aidan, brother Elio (Lina Righi), and by numerous nieces, nephews, friends and extended family. He was predeceased by his wife Giuseppina, parents Luigi and Angelina, brother Italo, nephew Peter and niece Manuela. Funeral services will be held Wednesday, February 20, 2019 at 11:00 am in the Sargent & Son Funeral Chapel, 21 N. Court Street with Rev. Victor DeGagne presiding. A reception will follow in the Sargent Family Reception Centre. Interment will be in St. Andrew's Cemetery. Visitation for family and friends will be one hour prior to service time. Should friends desire, memorial donations to the Alzheimer Society of Thunder Bay or the Canadian Mental Health Association would be appreciated. On-line condolences may be made at www.sargentandson.com. To send flowers to the family of Ezio Domenis, please visit our Heartfelt Sympathies Store. We encourage you to share any memorable photos or stories about Ezio. All tributes placed on and purchased through this memorial website will remain on in perpetuity for generations. Provide comfort for the family of Ezio Domenis by sending flowers. Hoping that in due time your family receives solace from the Father of tender mercies and the God of all comfort. He promised that in the Paradise life will be a delight, more than we can imagine. (Revelation 21:4) Until then, trust that Jehovah God heals the brokenhearted and he binds up their wounds. Wishing you the strength you need in the days ahead.